Q1: Why is monitoring intermediate AMD important? Q2: What impact does early Wet AMD detection have on visual outcomes? Q3: If the goal is early Wet AMD detection to help prevent vision loss, then how are we doing? Q4: What impact does severe vision loss have on a patient's quality of life? Q5: What are common challenges to early wet AMD detection? Q6: Should the Amsler Grid be the Standard of Care? Q7: What's the most advanced technology available to detect wet AMD early? Q8: How does ForseeHome® detect metamorphopic changes? Q9: Which patients are eligible for ForeseeHome®? Q10: How do you manage ForeseeHome® alerts? Dr. Kitchens completed his residency at the University of Iowa Hospital and vitreoretinal fellowship at Bascom Palmer Eye in Miami, where he was named Chief Resident. He enjoys speaking nationally and internationally about new treatments for age-related macular degeneration (AMD), diabetes and vascular disease. 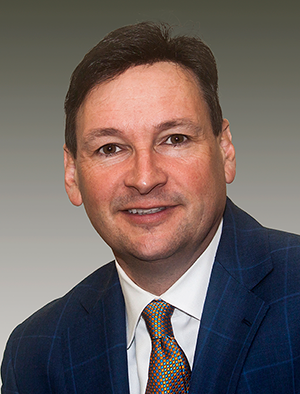 Dr. Kitchens has developed several innovative surgical techniques and has been awarded the American Society of Retina Specialists Rhett Butler Award on three different occasions. He's repeatedly named on America's Top Ophthalmologists list and Best Doctors in America list. Dr. Kitchens enjoys both photography and videography in his free time. He joined Retina Associates of Kentucky in 2005 and lives in Lexington, Kentucky. 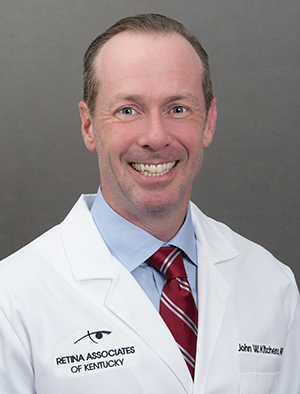 Paul M. Karpecki, OD, FAAO, received his doctor of optometry degree from Indiana University and completed a fellowship in medical cornea and refrac-tive surgery in Kansas City in affiliation with the Pennsylvania College of Op-tometry. In 2017 he completed a year long preceptorship in advanced reti-na and uveitis at Retina Associates of Kentucky in Lexington KY. He has remained on at RAKY but also serves as Director of Cornea Services at Ken-tucky Eye Institute in Lexington KY and Director of the OSD Clinic for Gaddie Eye Centers in Louisville KY. Dr. Karpecki is also an Associate Professor at the University of Pikeville Kentucky College of Optometry. A noted educator and author, Dr. Karpecki has provided over 1000 lectures at various meetings covering 4 continents. He has also authored over 500 papers in journals, book chapters, clinical eblasts and newsletters. He currently serves as the Chief Medical Advisor for Review of Optometry, the most read journal in the profession, is director of clinical content and Chairs the New Technology and Treatment Conferences. He is also on the board for the charitable organization Optometry Giving Sight.